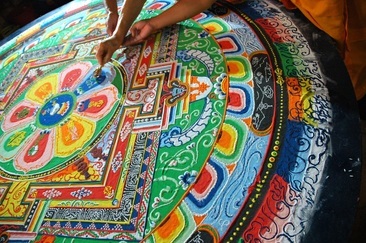 Tibetan Buddhism encompasses a wide range of Buddhist perspectives, including Hinayana (renunciation focused), Mahayana (focused on compassion and the Bodhisattava vow to aid all beings), and Vajrayana (the tantric practices focused on transforming negative states and energies into positive ones.) Like other forms of Buddhism, it has had a strong dialogue with Western psychology, psychotherapy, and counselling practices. In particular, many Tibetan Buddhist approaches share similarities with cognitive therapy in which unhelpful or unrealistic beliefs are challenged. The visualisation practices in Tantric Tibetan Buddhism have had a strong influence on the use of visualisation in Western transpersonal psychotherapy. 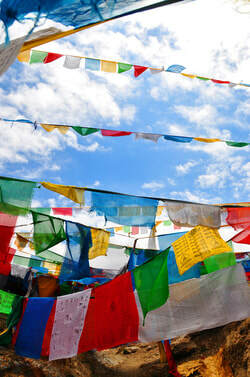 What are the benefits of connecting Tibetan Buddhism and psychotherapy? Tibetan Buddhism has a well developed psychology of the mind, and can be psychologically beneficial in it's emphasis on the cultivation of open hearted warmth, generosity, devotion, and compassion. However, like other forms of Buddhism, Western practitioners tend to bring their own biases and psychological issues to the way they understand and practice the teachings. One example is that practitioners who are not deeply grounded in their body, their identity, and their relationships may subtly dissociate from every day tangible reality, or from robust and direct interpersonal communication through a misunderstanding of the more otherworldly aspects of Tibetan Buddhism. For these practitioners psychotherapy can help reduce this split, and help bring them back to a fruitful path of spiritual development.